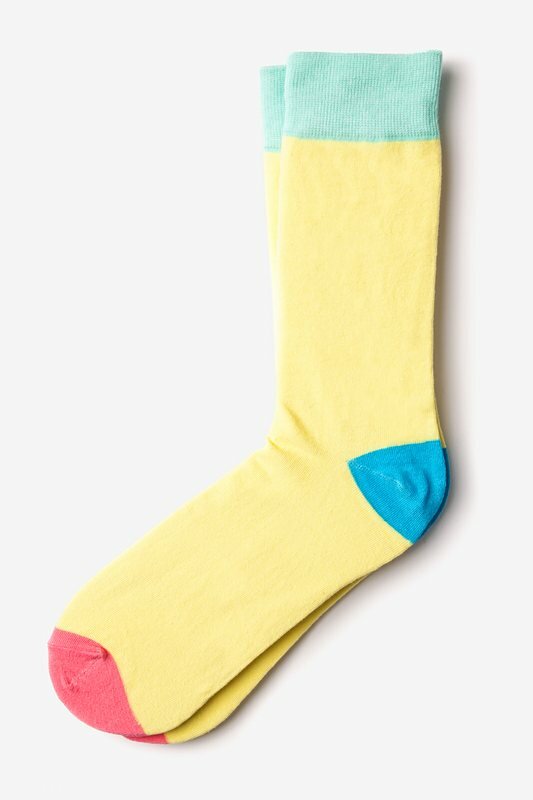 Yellow Carded Cotton Yellow Tustin Sock | Wild Attire, Inc.
Color block your way to the top with the Tustin Socks from Sock Genius. 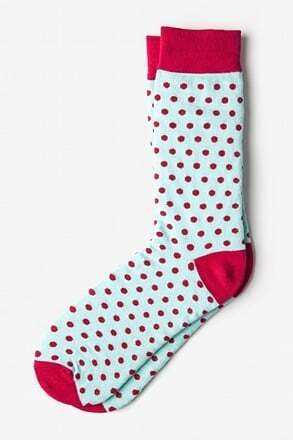 Featuring a soft sea foam green cuff, sky blue heel turn, and fuchsia toe surrounding a soft... read more Color block your way to the top with the Tustin Socks from Sock Genius. 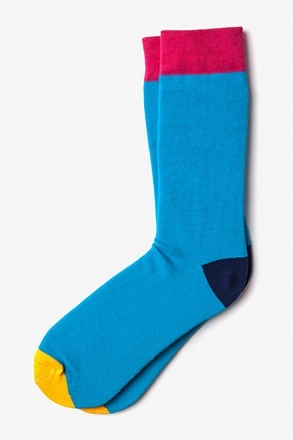 Featuring a soft sea foam green cuff, sky blue heel turn, and fuchsia toe surrounding a soft yellow leg, instep, and sole. 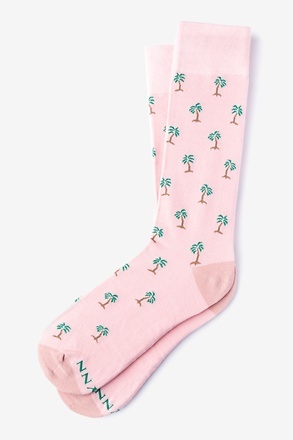 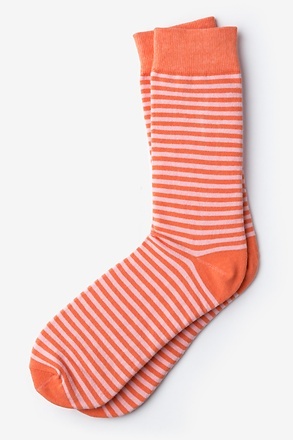 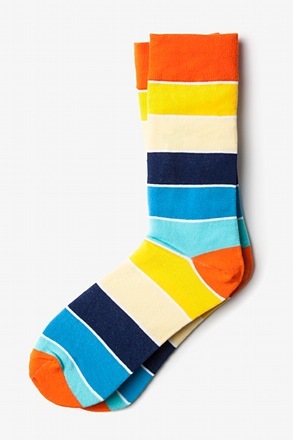 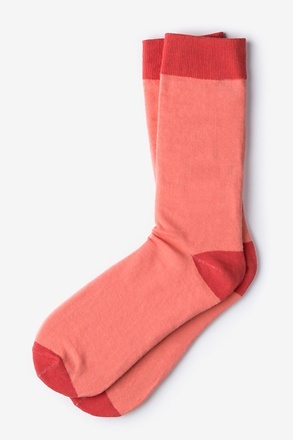 This bold, colorful sock is the perfect choice for those looking to make a subtle statement. 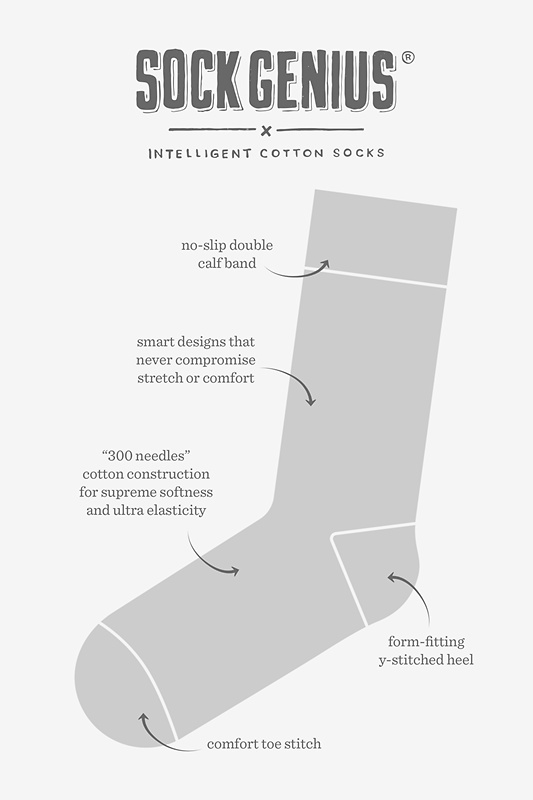 Made of high quality cotton, this moisture wicking sock will keep your cool and comfortable while letting your style shine through.